Real talk: We completely understand your antipathy to the crowds of overly enthusiastic revelers that permeate the landscape on St. Patrick's Day. On the other hand, you don't want your friends and neighbors to think you've developed agoraphobia, so perhaps a modest amount of merriment is in order this year. And we're here to point you in the right direction, so the least you could do is wear something green. Assume your rightful title of Irish woman or man (for the day!) and take part in this annual family-friendly Irish music fest—now in its 72nd year. National anthems will be played; celtic troupes will take the stage; corned beef and cabbage will be consumed. Perhaps nowhere is Irish pride so tangible. This Portland cultural landmark brings on another round of St. Paddy's day debauchery—featuring Ireland vs U.S.A. in amateur boxing, a.m. to a.m. pub revelry, dancing, music, and an abundance of blarney foodstuffs. Maher's Pub in Lake Oswego has a four-day shamrock celebration scheduled. Bring the nippers on Saturday for family day with face painting, Irish wolfhounds, crafts, and Lucky Irish coins for all. There's even a soda bread contest! 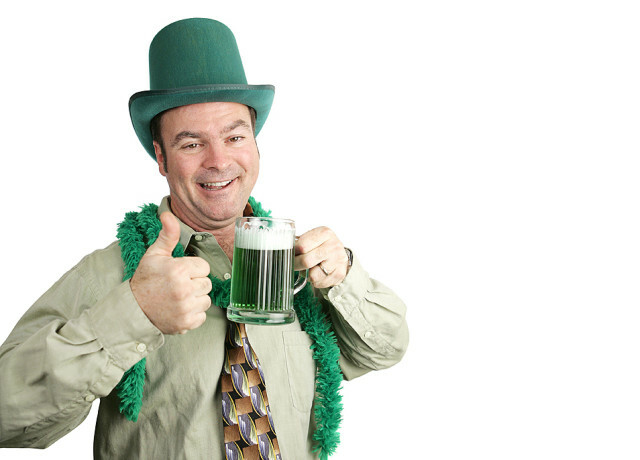 This annual celebration promises familial revelry with live music, house Irish stout, Irish coffee cocktails, leprechauns, and heaping bowls of MacSleyne Irish stew. This longstanding parade is a communal celebration of spring and a citywide thanks to the Washington County community. The Hillsboro Boys & Girls Club will host games for the little ones at 9 while the parade begins at 11. Paddy's multiday celebration kicks off with a night of bagpipes, live music, and, you bet your last gold coin, plenty of Guinness! Visit the tented street party where Irish dancers, loads of corned beef and cabbage, and more live music than you can shake a shillelagh at will be the order of the day. The Shamrock Run finishes just outside Paddy's doors on Sunday. Family friendly until 9 nightly. A portion of proceeds go to the Children's Cancer Association. Spread some spirit and gather your friends for a three-day bar crawl dedicated to funloving shenanigans reminiscent of your college days. All you'll need is a BarCrawl pass, wristband, cup, and a map. Did someone say green beer?! If you're inclined to pass on the pub and cabbage, indulge in a little theater with Readers Theatre Repertory's "Ireland on the Airwaves," a pair of plays by noted Irish playwright Brendan Behan. Dark wit sets the tone and the life amongst the Irish middle class sets the scene. Located in the recently refurbished Ladd Carriage House, the Raven & Rose will host a pair of events. Delight your palate with an Anglo-Irish five-courser of venison and pinot noir while rubbing elbows with the owners of Anam Cara Cellers. And if you're feeling particularly plucky and have a case of Paddy's day dry mouth, take to the Rookery Bar and clap along to live music while sipping on Jameson Irish whiskey cocktails. Lace up your running shoes at this waterfront workout benefiting the Doernbecher Children's Hospital. You can take the kids and work off the bangers and mash.